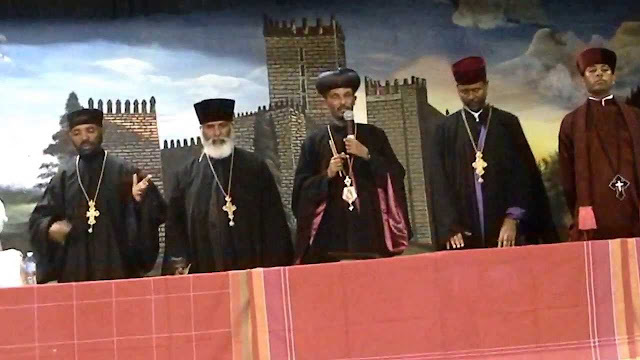 The two synods of the Ethiopian Orthodox Tewahedo Church have agreed to resolve their differences and reconcile ending 27 years of acrimonious relationship. The split started in 1991 when Patriarch Abune Merkorios was forced to abdicate his position and forced into exile. He was replaced by the late Abune Paulos who was hand picked by the Tigray People’s Liberation Front. In a reconciliation process kick-started by Prime Minister Abiy Ahmed, the exiled synod and its rival in Ethiopia headed by Abune Matias have agreed to merge. According to reliable sources, Abune Merkorios will return to Ethiopia to be reinstated as the patriarch. The current patriarch, Abune Matias, will abdicate his seat and will become head of administration. Ethiopians on social media have been expressing excitement over the reconciliation that are referring to it a miracle.